Please feel free to upgrade the idea with your own work. 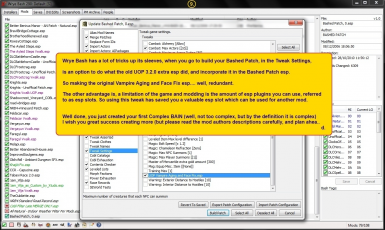 I would recommend also posting a topic on Bethesda.net Forum and consulting the current Wrye Bash team, respecting their wishes and the wishes of the original author of the subject matter - Wrye. olympusgames, GMOD or ModDrop sites do not have permission, to upload or redistribute any of my files, images or descriptive content, past, present or future. 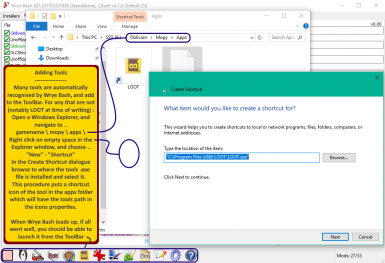 Paint.NET, G.I.M.P, and LibreOffice to export the PDF's with bookmarks (Use Impress to do this part of the creation). 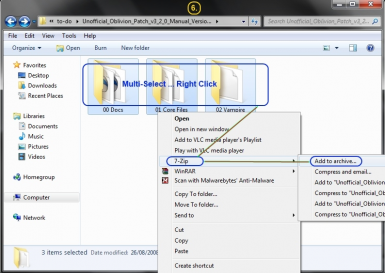 7zip comes in handy too. 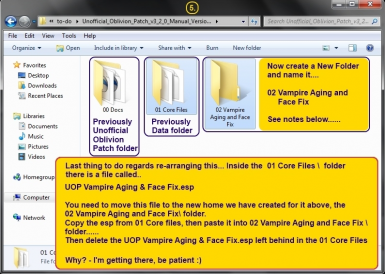 For LibreOffice Impress, I have uploaded a resources file to get anyone started making PDF's. 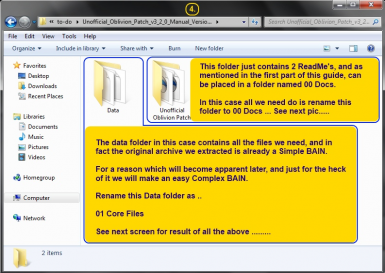 These resource files are to be used as a template only. DarkOne = TESNexus, enough thanks cannot be given, behind the scenes management of such an immense site is quite a responsibility. Bethsoft - Wonderful alternate reality you create, and support for fans. Mod Creators - Even the modest tiny insignificant ones :) Thank you all for applying personal time out of your lives and intellectual property for free enriching this community and extending enjoyment/longevity of the experience. Bravo. 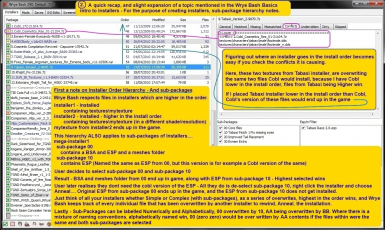 Wrye - Genius foresight, shame people did not adopt BAIN sooner as the standard installer. Utumno and the current Wrye Bash team (and of course older team members who have now moved on) - for continuing carrying the torch/development of this essential tool. 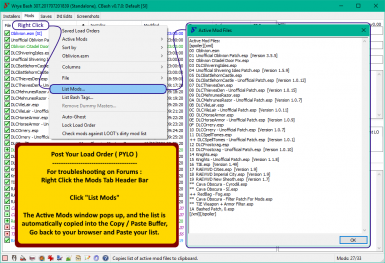 Metallicow for much help via his Demo Wizard, and the Screenshot INI Tweak tip. 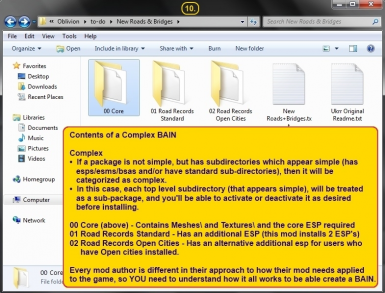 and Waruddar who recently pointed out a lot of detail reference building the bashed patch, some of which was previously unknown to me. 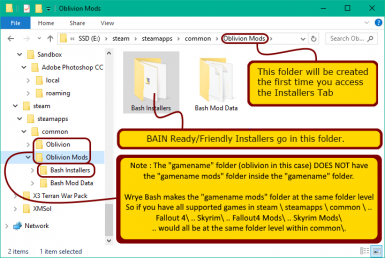 NOTE : This guide is now out of date - I dont have any Bethesda games installed anymore, and Wrye Bash has changed greatly since I last had it installed. 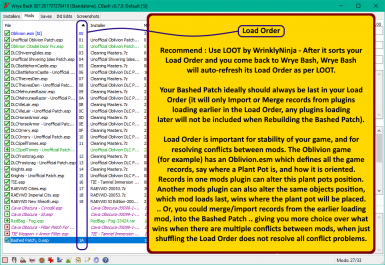 After installing Wrye Bash, I recommend also installing LOOT - Wrye Bash and Load Ordering are essential. 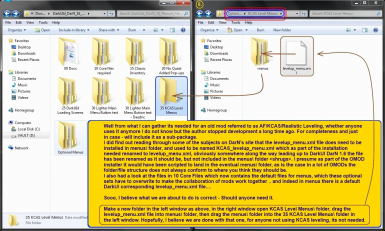 Download the pdf files (in the files tab) to view off-line at the same time as using Wrye Bash, and flip between the two - Requires a pdf reader, an open source variety here Sumatra PDF reader - does what you need a PDF reader to do. 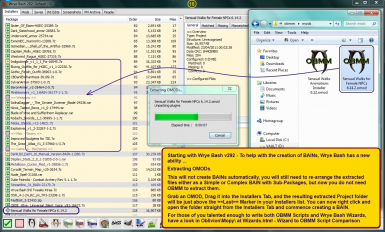 Installers Creation also requires the Wrye Bash INI Tweaks for DarkUI DarN Bain creation. 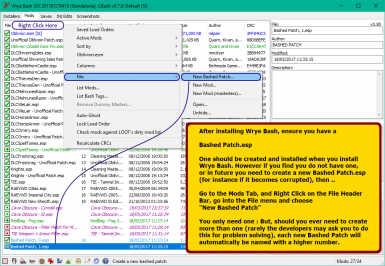 Wrye Bash INI Tweaks Xtras - These are just INI Edits not included with Wrye Bash which you may find useful occasionally. 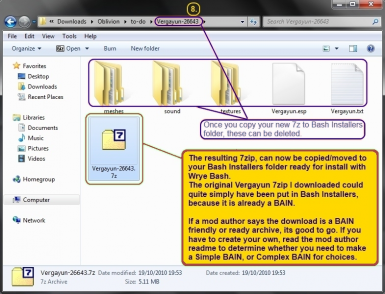 Its also a simple BAIN, so to install them just throw this file in Bash Installers - Simples. 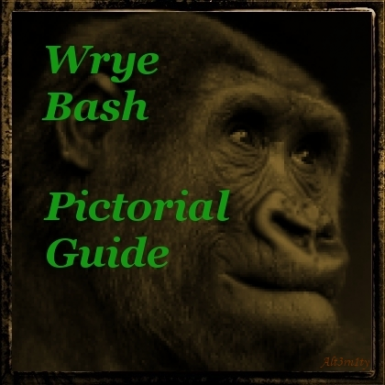 Wrye Bash Pictorial Guide Complete PNGs - This file contains All images in PNG format from all pdf's; For those who may prefer to browse the guide using Windows Picture and Fax Viewer. 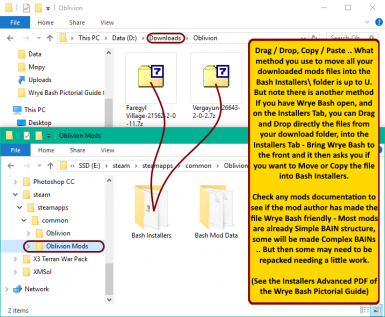 Hopefully, this will help some of you to get past the initial information overload barrier that is the Wrye Bash.html help file, and get on with modding/playing a far more stable game setup. 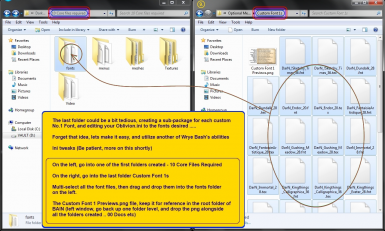 Wrye Bash Pictorial Guide - Simplified Chinese - Thanks to BlueSky404 from Bethsoft forum for putting the work into this. Tomlongs excellent site ... TESCOSI. Tomlongs site is well worth having a good ramble through all the topics. 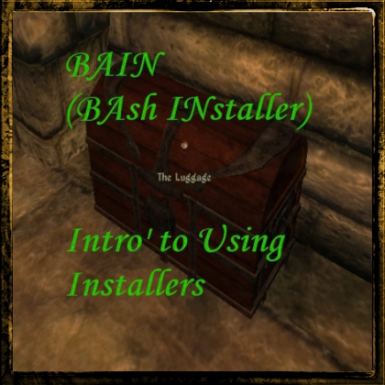 Heres a short list of links I know of and have used, where modders have created an additional BAIN ready/friendly archive (or coincidently they are already simple BAIN's because the author packed them that way) you can just drop in your Bash Installers folder and install with Wrye Bash. 1a. 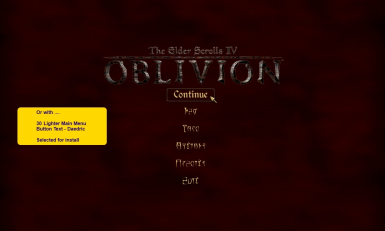 Unofficial Oblivion Patch v3_2_0 Manual Version - No other files required, the manual version includes the updates, just drop this in Bash Installers folder - This can be adapted slightly, though not necessary - see my Installers Creation PDF for details. 1b. After 1a. 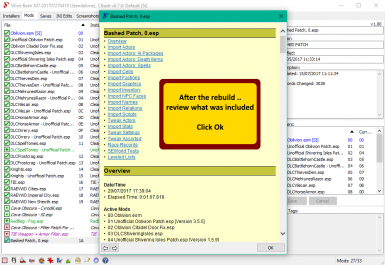 above then also overwrite with Unofficial Oblivion Patch v3_4_1 Upgrade Manual Version - Again just drop this in Bash Installers folder, position it to install after UOP 3.2.0 - Karn may get round to making 3.4.1 an all-in-one instead of just an Upgrade patch to 3.2.0 ... But he's busy with Skyrim at the moment. 2. 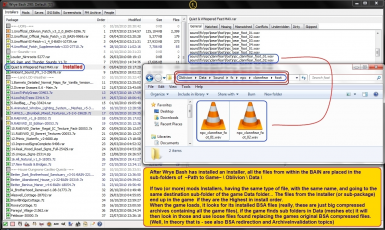 For those with any DLCs (or the GOTY version of Oblivion) Unofficial Official Mods patch v16 - Manual version, BUT when installing as a Bain, in the ESP filter box uncheck any DLCs you do not have installed ... or - This could quite easily be converted into a complex BAIN, taking the esp's out of the data folder, place them in their own individual sub-packages for selection on installing. 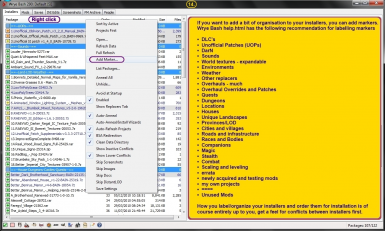 UOPS (Unofficial Oblivion Patch Supplementals) is no longer needed - All changes the UOPS did have been included in all UOP, UOMP and USIP as required. Even using with vanilla textures the difference is remarkable (Check the user uploaded images, I placed a couple there for comparison - Not even using Large texture setting in-game, just medium). Original author Jarod created these >> here << - I just re-packaged them as BAINs. 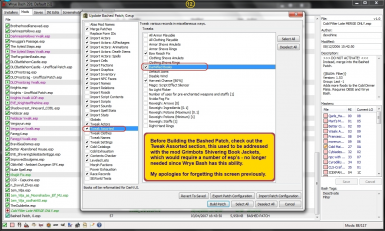 Gruftikus has developed a utility to produce Landscape LOD Meshes. The meshes this generates are more detailled and solve a few problems with Oblivion and Shivering Isles landscapes. 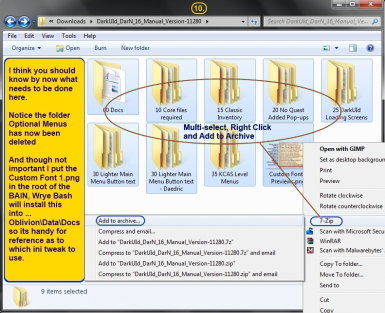 Aswell as the utility, Gruftikus has generated file sets for immediate use .. the Optional files here. Choose the ones suitable for the performance of your machine, each is a simple BAIN. 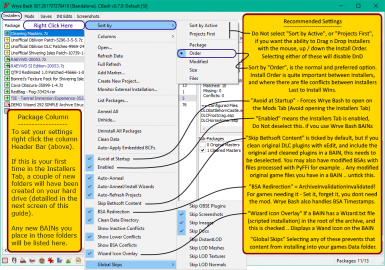 Brittainy's Lush and Gaudy Landscape and Grass and Tree Mod - In the Main files Brittainy has included a complex BAIN, which includes all the other optional files. 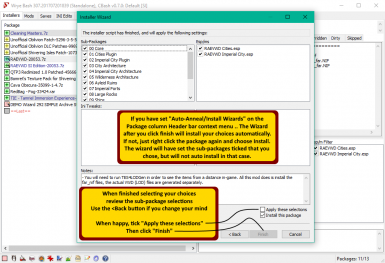 Version 1.3 now includes a Wizard installer. Phitts Falling Stars mod. Make a wish :). Simple BAIN. Phitts Artifacts - Another little gem from Phitt, simple BAIN. 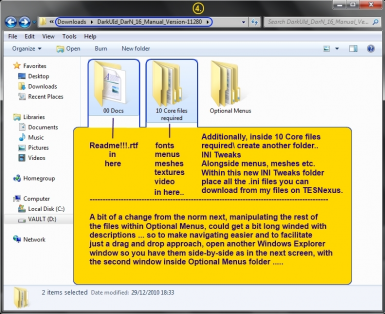 Once installed it has an ini file which can be tweaked to customise your experience. 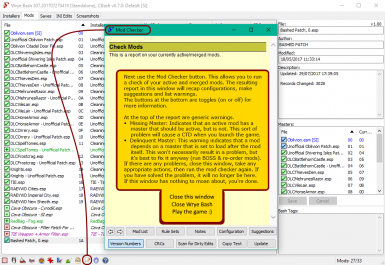 OR - Saebel's Sneaking Detection Recalibrated - A new alternate choice to Phitt's Sneak Penalties (choose either one or the other - They conflict, so only run one of them); As with Phitt's, grab the zip version and drop it in Bash Installers folder, and again once installed it has an ini file which can be tweaked to customize it. Oblivifall - Ambient Dungeon SFX By Cliffworms, the new version 3.0 is now a BAIN friendly archive (previous version needed a bit of re-packing). Very nice immersion enhancer. 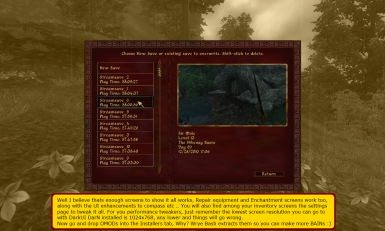 OR - Sounds of Cyrodiil Also by Cliffworms, use instead of Ambient Dungeon SFX above - Greatly expands on the same idea providing more random sound ambience everywhere, Taverns etc. 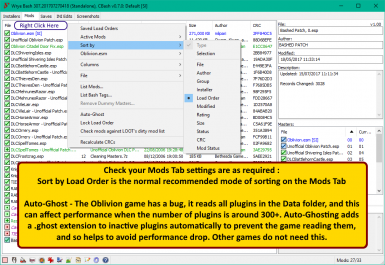 If you are looking for a challenging overhaul Tamriel Immersion Experience (T.I.E), by Veritas_Secreto, and now being managed by Arthmoor since Veritas left the scene. 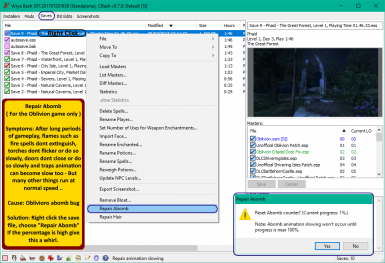 This overhaul uses only vanilla game resources so is pretty much compatible with anything except other major overhauls, and includes Tamriel Travellers/NPCs to populate your world. 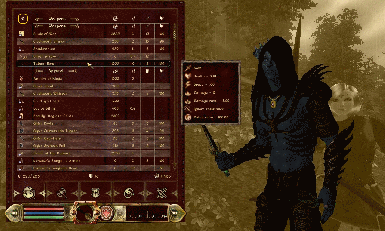 Tamriel NPCs Revamped, also by Veritas_Secreto, now in a BAIN. 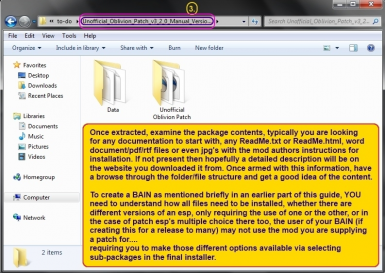 Also by TheNiceOne SoulGem Magic - The one file here is already BAIN Ready to drop in installers folder. 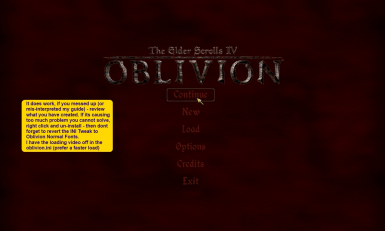 Oblivion XP update - Originally by SirFrederik, Andalaybay has taken over development - its a levelling system replacement, the new main file is now a BAIN/OMOD ready Complex installer. MaleBodyReplacerV5 Robert has at last got around to updating the v5 Beta into its Final version. 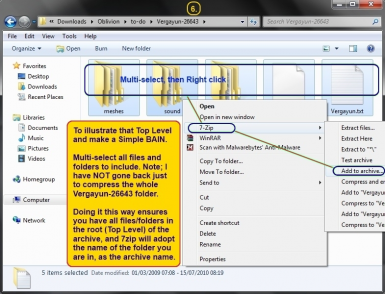 Robert Male V52 BAIN is a Complex BAIN with Wizard installer. 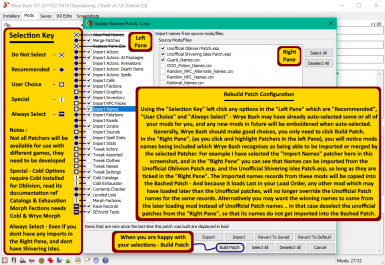 MiniBloomers HGEC & TGND by ziitch - Complex installer. Emma's Companion Vilja - The main esp and bsa file required are Simple Bains'. 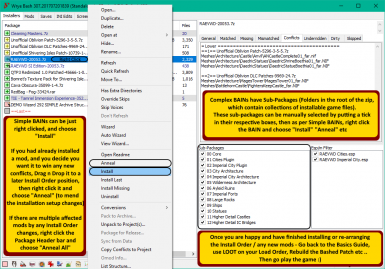 If also you want to customize Vilja - In the optional files there the Vilja Customisation Pack is a complex installer, select sub package required (if using XTudo or 4VGN Custom Vilja, dont forget the teeth sub-package), and also ensure you have the race specific files required for some of these from the original author. Emma's Red Rose Manor - Simple BAIN; House and Quest mod from a very talented author and will more than likely be the most accommodating house mod for companions we have ever seen. Beautiful work. 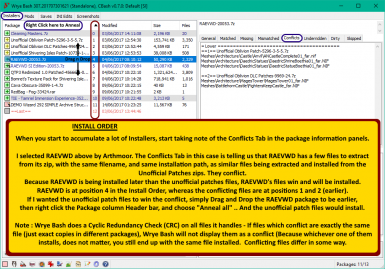 AWLS - Also has a wizard installer (See further note below) - Just the main file required. OR - If you just want closer fog .. RedBags Fog - Dont use this if you use All Natural, theres no need because All Natural has settings which achieve the same. Another Immersion enhancer Cava Obscura by WrinklyNinja - If you want your lighting in caves and ruins lowered by 10% this is marvellous - Simple BAIN, the omod data will just be ignored by Wrye Bash. 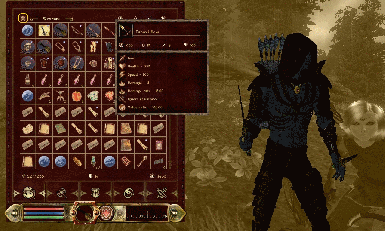 This one only does a tiny thing - But its so nice, fed up of the in-game mouse cursor? 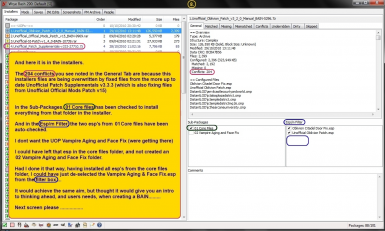 - Lots to choose from, Complex BAIN, wizard installation with screenshots (see note below on wizards). 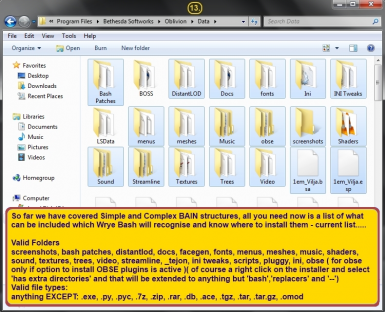 Phinix Better Names For Wrye Bash - This is a replacement/further development of the old Rational Names.csv (under Import Names when re-building the bashed patch) supporting major overhauls. Simple BAIN. 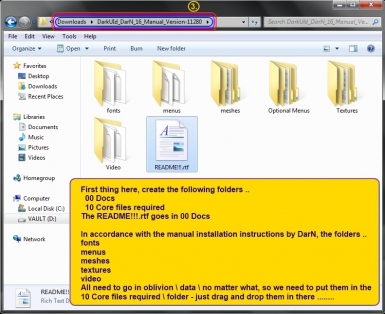 RAEVWD - Both of the main files now include a wizard which Malonn put together for easier scripted installation. 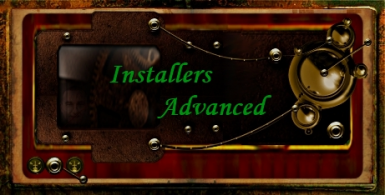 If you select 'Auto-Anneal/Install Wizards' in the main Installers menu, it will automatically install upon wizard completion. 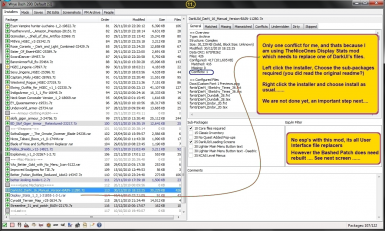 If an Installer does not have a Wizard, the option will be ghosted un-available. 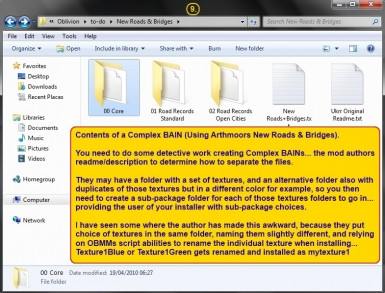 New; Another 'Watch this space' - Metallicow has started a page for WizBAINs, BAIN Wizards and folder structures for mods that do not have them - more to follow. 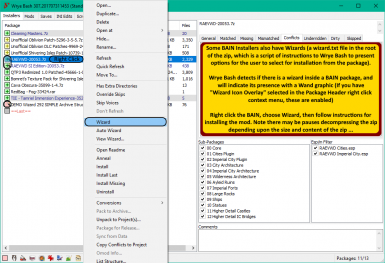 New; Metallicows new Wizard Demo - For Wrye Bash v292 - He's been busy again; This is just a demo of the capabilities of Wrye Bash Wizards (Written for Wrye Bash v292). 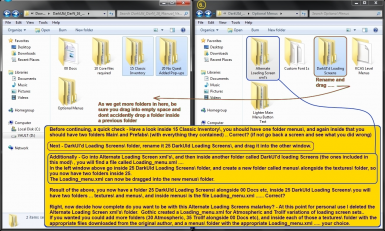 If you are interested in learning how to do them yourself this demo is heap of ingenuity. BethSoft Thread - << - Now closed. 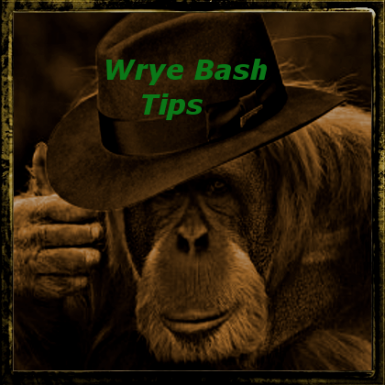 I understand Wrye Bash has been awkward to setup in the past but most problems are now resolved. 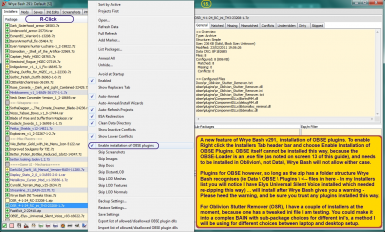 The new Wrye Bash Installer, can install just the Standalone version of Wrye Bash, or Python and Python Wrye Bash. 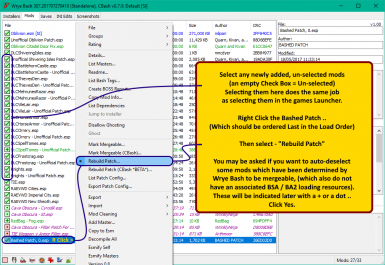 As for Mod installations - Read the mods readme/description, and approach them one at a time. 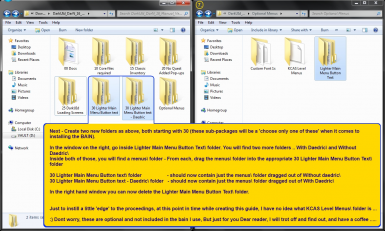 For LibreOffice Impress, I have uploaded a resources file to get anyone started making PDF's. 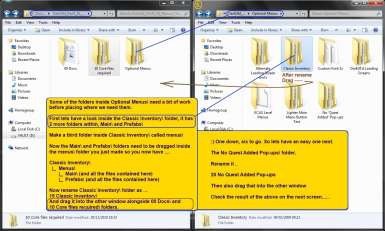 These resource files are to be used as a template only.